The study at 25 UK and US hospitals will include doctors placing images on shelves that are only visible from the ceiling to test the theory. Dr Sam Parnia, an intensive care doctor who is heading the study, said: "If you can demonstrate that consciousness continues after the brain switches off, it allows for the possibility that the consciousness is a separate entity. "It is unlikely that we will find many cases where this happens, but we have to be open-minded. And if no one sees the pictures, it shows these experiences are illusions or false memories. This is a mystery that we can now subject to scientific study." On an essay for the Today website, Parnia enthuses further about his revolutionary new study, even comparing it with the multi-billion dollar Large Hadron Collider whose switch-on was the subject of such hype last week. Both projects, he writes, "are scientific endeavours that may alter the way we understand and think of ourselves." If there are hundreds of positive reports, then we will have to redefine our understanding of the mind and brain during clinical death. Well, it certainly would be revolutionary if consciousness outside the body could be proved in this way. But that's a pretty big if. In March Dr Sam Parnia and Professor Peter Fenwick will begin a year-long study, looking at patients who have had cardiac arrests to find out if they have had any experiences or memories whilst their heart stopped beating. In particular they are interested in those who report an out-of-body experience (OBE), when the "experiencer" looks down on their body and surroundings from a height. At Hammersmith Hospital and 12 other hospitals across the UK, symbols will be placed in strategic places so that only those who have an OBE will be able to see them. "If these claims are verified" says Dr Sam Parnia, "then this will have a huge implication for science because what it would indicate for us is that our current understanding of mind, body and brain isn't sufficient and that it is possible for the mind/consciousness to separate from the brain at the end of life." Hancox also mentioned a preliminary study at a hospital in Swansea, which she described as "inconclusive". Of 39 cardiac arrest patients who were questioned, only two reported an out-of-body experence, and neither saw the hidden symbols. Absolutely no evidence of astral projection, then. In this sort of research, though, negative results are always "inconclusive". I've no idea what results were produced by the twelve-hospital study Parnia and his colleagues launched four and a half years ago. In fact, I've found no reference to it whatever following the high-profile launch. I did, however, discover that Parnia has written a book, What happens when we die?, which was published in late 2005. From what I can gather, the cover pages's promise of "a ground-breaking study" was not borne out by the content. Presumably if anything of consequence had been discovered during the 2004 research project Parnia would have been trumpeting the fact this morning. Instead, there was no suggestion, either in the interview or in Parnia's essay, that he had ever looked into the subject before. In fact, Parnia has been plugging his "research" for years. In June 2001, the Telegraph reported that "two eminent doctors" (Parnia and Fenwick) had "found new evidence to suggest that consciousness or the soul can continue to exist after the brain has ceased to function." The evidence, however, turned out to be entirely anecdotal and scientifically worthless. Out of 63 recovered heart-attack victims, seven reported some sort of experience while they were unconscious, and four of them had had the full package: light at the end of a tunnel, feelings of peace, meetings with "spiritual beings", and so on. While Fenwick and Parnia have been sticking their pictures to hospital ceilings, more serious research into out-of-body experiences has gone some way towards explaining the phenomenon. At UCL and in Lausanne, Switzerland, psychologists used virtual-reality goggles to simulate the feeling of being outside the body. They were able to trick a volunteer's brain into thinking that a holgraphic image of a person's body, "located" some distance away, was really theirs. When the virtual body was threatened with a hammer, for example, the volunteer's real body experienced a physiological reaction. 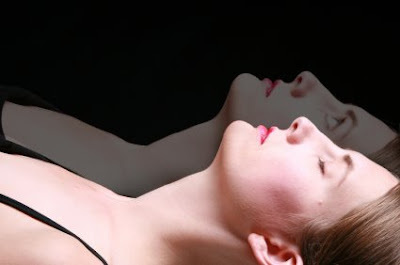 The researchers speculated that the sensory deprivation and bodily trauma experienced by near-death patients might have a similar "displacing" effect on consciousness. "This experiment suggests that the first-person visual perspective is critically important for the in-body experience," said Dr Henrik Ehrsson, who led the UCL team. "In other words, we feel that our self is located where the eyes are." Not only do these studies suggest a mechanism the might lie behind the OBE - that it's possible subjectively to experience one's consciousness as being located somewhere else - they also raise exciting possibilities. It could inspire a new generation of computer games, enabling players to feel as if they are actually inside the game. "Clinically, surgeons might also be able to perform operations on patients thousands of miles away by controlling a robotic virtual self." But then that's the difference between proper scientific research and mystery mongering. The latter is good for a spot on the radio - and will doubtless attract much interest - but it never really leads anywhere. Science not only increases the realm of knowledge, it produces practical spin-offs as well. Fascinating stuff Heresiarch. I had no interest in this out-of-body stuff or near-death experiences until I read Connie Willis's novel Passage. NDEs seem to be distress signals sent out by our disintegrating consciousness in a last and futile attempt at making sense of what is going on as we cease to be. Willis makes something strange and wonderful of all this and even explains why the Titanic is really so fascinating. Any recommendations for further reading welcome!